Members of South Africa Cricket team arrived at the Hazrat Shahjalal International Airport on Tuesday. South Africa Head Coach Russell Domingo thinks it would be preposterous to embark on the Bangladesh tour believing everything would go their way. Fourth-ranked South Africa are expecting a tough tour, the Proteas coach told reporters on Monday before flying to Dhaka for the month-long tour. The two teams will square off in two T20Is, three ODIs and two Tests with the first 20-over game set for Jul 5. Following their most successful World Cup campaign in Australia and New Zealand earlier this year, Mashrafe Bin Mortaza and his men carried their fine form to their own backyard. They convincingly won back-to-back maiden ODI series wins against former world champions Pakistan and India. The Tigers registered three consecutive home series routs, after sweeping Zimbabwe 5-0 towards the end of last year. "It's going to be a tough tour for them (South Africa) with the crowd, the weather, the nature of the wickets and the way Bangladesh are playing," Domingo was quoted as saying by ESPNcricinfo.com. "But it will be great test of their character." Domingo, who succeeded South Africa great Gary Kirsten as coach in 2013, noticed Bangladesh's recent adoption of aggressive cricket. "Bangladesh have changed that mindset. They are playing a lot more aggressively." "They've combined a new belief with a new set of skills which has made them much more effective and much more dangerous." With a revamped seam attack, the Tigers bowlers now terrorise batsmen on home tracks that are gradually producing swing and bounce for pacers. 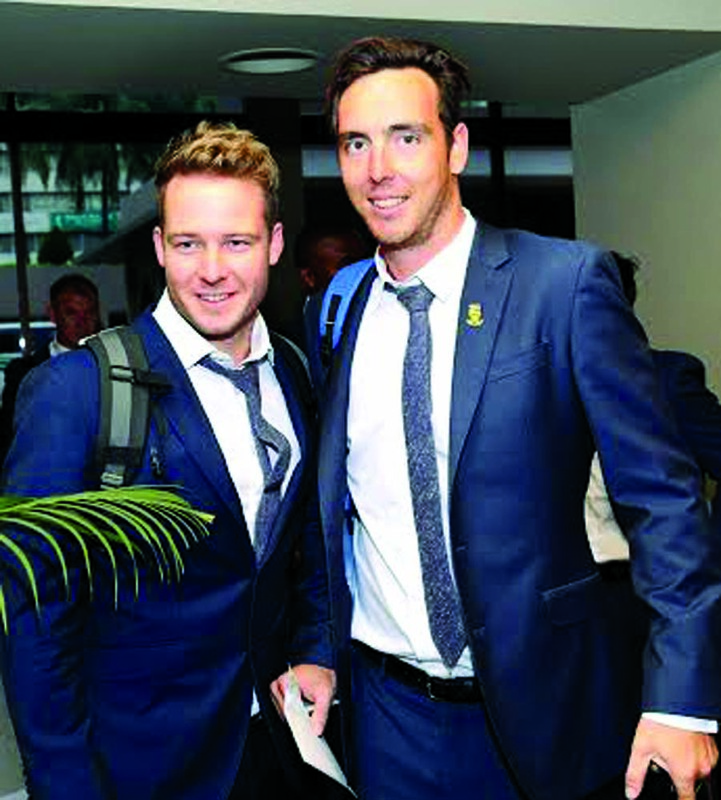 Pacemen Kyle Abbott, Chris Morris and Wayne Parnell have filled in for them. "I think the wickets will be typical sub-continent wickets. They will know we also have four quicks and if they prepare wickets that are going to suit fast bowling, it plays very much into our hands," Domingo was quoted by the cricket website. Bangladesh soared to new heights shedding off the minnows tag with a 3-0 thumping of Pakistan before prevailing 2-1 against the mighty Indians. They only lost the third ODI last week that ended their fabulous 10-match winning streak at home. They also rose to seventh in ODI ranking leaving West Indies and Pakistan behind in a battle for the eighth spot and a berth in the 2017 Champions Trophy.